How to clear the data of Dux-Soup? To clear the data, you need to click on Dux-Soup icon and click on "Clear Data"
Please note that once cleared, it cannot be retrieved. 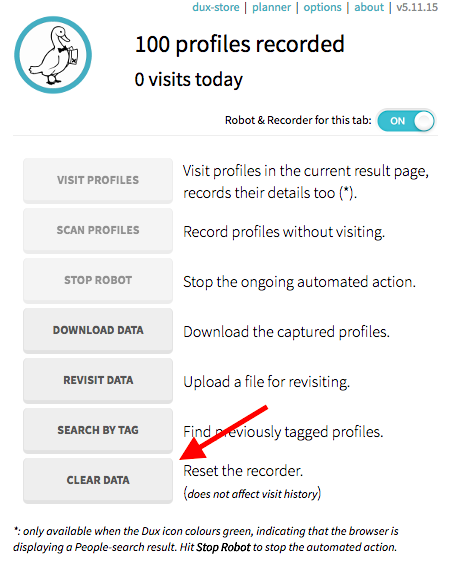 It will not affect the visit history so if you set Dux-Soup to skip already visited profiles, these will be skipped.